There a number of ways to attract birds to your yard including bird baths, bird feeders and birdhouses. You can purchase a pre-made birdhouse from your local home improvement or garden supply store. However, pre-made houses can be expensive. Instead, make your own, which costs little to no money, depending on the supplies you have around your home. 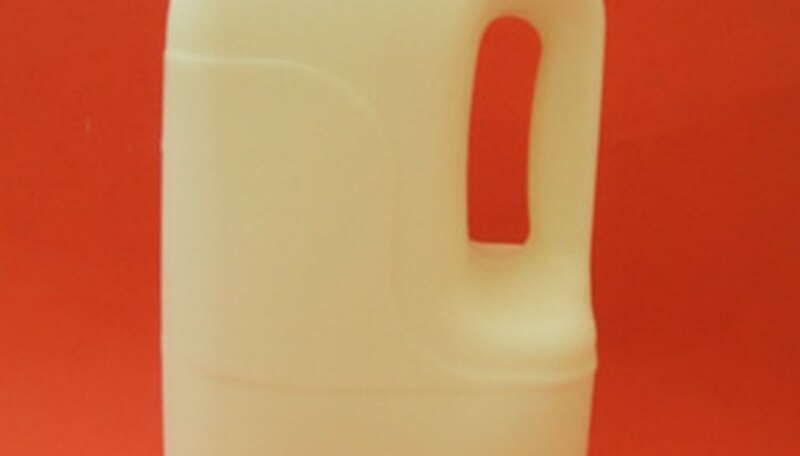 Empty and clean a plastic milk jug with soap and water. For best results, choose a gallon size; however, the half-gallon size will be appropriate for smaller birds. Allow the jug to dry completely. Make two holes in the lid of the milk jug with either a drill or by hammering a nail through the lid. The two holes should be approximately 1/4 to 1/2 inch apart. Once you have the two holes, loop a 24-inch piece of twine through the holes and knot the ends together. This will make your handle to hang the bird house when it is complete. Replace the lid on the jug. Cut out a circle about three inches in diameter from the side of the milk jug with a utility knife. The hole should be in the center of the side of the jug. This creates the door of the birdhouse. Use the end of a can to trace the circle or, if your milk jug has a circular indentation, use that as a guide. Discard the cut-out piece. Use sandpaper to smooth the edges if the hole is rough around the edges. Cut a hole on each side of the jug adjacent to side where you cut the door hole. The holes should be centered in the side of the jug. The holes should be large enough to insert an 18-inch long dowel through. Press the dowel through the first side hole and out the second. Leave the excess of dowel rod sticking out of one side of the milk jug to serve as a perch for the birds to rest upon. Decorate the outside of your birdhouse however you would like. You can use paints, craft foam, markers or stickers. Attach the completed birdhouse from a tree branch with the twine you attached to the lid in Step 2.